Language Tips: Basic Korean And Japanese Expressions | So, You Think You Can Teach ESL? 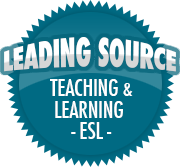 It’s helpful for ESL teachers to also learn another language. This helps teachers understand their students’ struggles better, and can allow the teacher to create more meaningful, targeted lessons.